American and Canadian eaters are accustomed to adding 15% to 20% on to the total restaurant bill before taxes. The wait staff often rely on these tips because their base pay is FAAAAR below the minimum wage. Overseas however, this is not always the case. 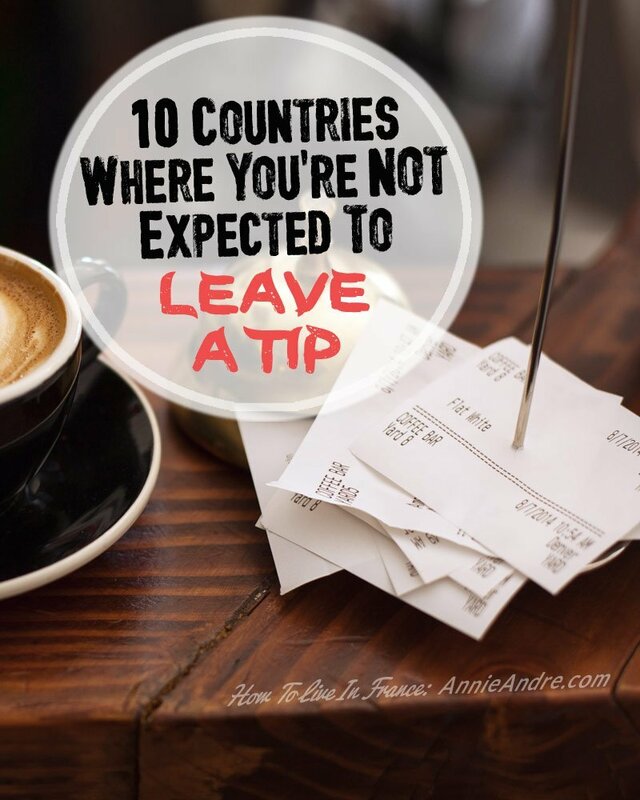 Here are 10 countries where you are not expected to tip either because the tip is already included or because the wait staff is making a livable wage.. Tipping in your home country is confusing enough as it is but when you travel it can get even more confusing. A few small coins left behind at a restaurant might be considered polite by the wait staff in a restaurant in France but the same amount left in a restaurant in China is down right rude. Here are 10 countries where you may not need to tip in a restaurant. Use it as a guide but always make sure you do your own research before travelling. 1-Japan-Be careful not to tip at restaurants in Japan, it could be construed as an insult. The general ideology is that the wait staff works for the restaurant as a team and if a customer enjoys their visit than they will return to the restaurant again, refer others and bring more business. I guess you could say, your gratitude and repeat business is all the tip they need. Exception: I have been to some restaurants in Tokyo who received a lot of tourists and understood that some foreigners tip. In these rare cases, tipping is accepted but not expected. 2-China- Generally you don’t need to leave a tip. Just like Japan, it can be considered rude in some places. 3- South Korea-Generally tipping is considered rude here too. The exception is in some hotels where a service or tip is automatically added to the bill. In many countries, it is not wrong to tip. In fact the wait staff will be very happy to receive a tip from you. However, these countries do not expect you to tip because the tip is already included on the bill. Check your bill, you may see an extra 10% or more (maybe less) added as a service fee or tip. If you still feel like leaving a tip behind because the food or service was amazing then go ahead. Just round up and or leave the change behind. If you are still feeling unsure, just ask. 4- Malaysia-Tipping is not expected but appreciated. 5- Hong Kong-Generally there is no tipping in Hong Kong but, because Hong Kong is becoming so westernized, they are used to being tipped and even appreciate it. 6-Vietnam-Tipping is not customary in Vietnam but is slowly becoming more common especially in touristy spots like Hanoi. 7- New Zealand-Tipping at restaurants in New Zealand is not widespread however if you get exceptional service and feel like it, you can leave around a 10% tip. 9-Thailand-A tip is not expected but it is appreciated. Don’t leave a percentage but rather leave 10 baht or 20 baht and call it a day. 10- Italy-Throughout most of Italy, it’s not common practice for Italians to leave a tip but it can be appreciated. If you do leave a tip, do it when you get exceptional service and forget the rules back home of leaving 15 to 20 percent. Instead round up to the nearest whole number or leave the change. If a café is 1 Euros 60 centimes, leave 40 centimes on the table as a tip. The waiters and restaurants in the tourista meccas- Venice, Florence or Rome have grown so accustomed to foreigners leaving tips that I hear they half expect tips now. But just remember, a cover charge is usually already added to your bill so check it and don’t feel obliged to leave a tip. 11-Bonus- France-In France there is already a VAT (value added tax) tacked on to your bill. You usually find it at the end of the bill marked as TVA (taxe sur le valeur ajoute). For this reason it is not necessary to leave a tip but it is customary to leave a little something by rounding up on your bill.. If you pay by credit card you may not be able to leave a tip using your card so be sure to always have some one euro coins in your pocket to leave behind as a small tip of appreciation. Just because you don’t tip in restaurants in these countries doesn’t mean you shouldn’t tip the taxi driver or barber in those same countries. My advice to you when planning your trips is to please, please, please…. do a little research on the tipping customs of that country. Here are a few service related things to do research for…. 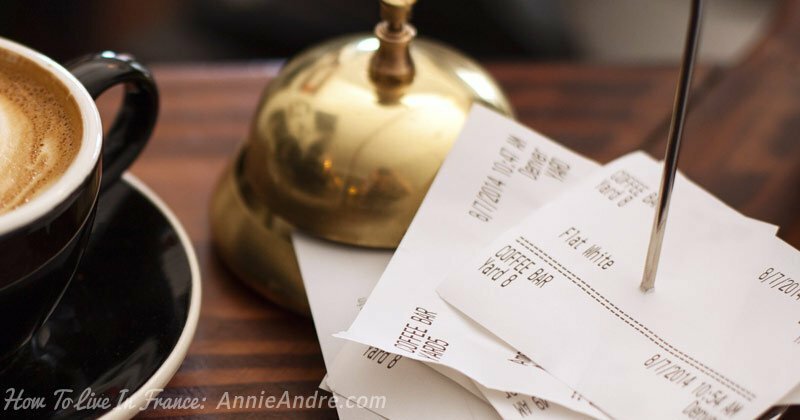 Trust me, it’s really embarrassing or rather stressful to receive your bill in a foreign country and not know how much is too much or too little, or whether you should leave a tip at all.